Dr Mohammed Ibn Chambas, the United Nations (UN) Secretary-General’s Special Representative to the Economic Community of West African States (ECOWAS), has said although there are some difficulties bedevilling Africa, the continent has a bright future. The President of Group Ideal, Dr. Following the calculated and bloodless takeover of Zimbabwe’s capital, Harare by military leaders, Special Representative of the United Nations for West Africa and the Sahel, Dr.
Ghana coach Kwesi Appiah says he may consider rotating the Black Stars captaincy in a bid to stop the unending brouhaha that has surrounded the armband of the senior national football team. Head coach of the Black Stars, James Kwesi Appiah says he hopes the country will learn from its failed attempt to qualify for the 2018 FIFA World Cup in Russia. Africa, with its varied nationalities, ethnicities, languages, religions, cultures, and social practices, is sometimes described as a continent of intolerant people. NDC Ningo Prampram MP Sam Dzata George and deputy MASLOC CEO Afia Akoto have locked horns on social media in a nasty fight. Dreams FC have announced the return of goalkeeper Philemon McCarthy as a member of the squad for the 2017/18 football season. The Ghana Olympic Committee (GOC), has secured £5,000 preparation grant for seven Ghanaian athletes ahead of the 2018 Commonwealth Games in Gold Coast, Australia. The CEO for Charity Stars FC Mr.
Black Stars midfielder Edwin Gyasi, has said he has no regret choosing Ghana over Netherlands, having made his second appearance for Ghana last Sunday against Egypt. Life Patron of Kumasi Asante Kotoko Sporting Club, the Asantehene Otumfuo Osei Tutu II, has given the Executive Board Chairman of the club, Dr. The Editor-in-Chief of the New Crusading Guide Newspaper, Abdul Malik Kweku Baako has slammed the opposition NDC Minority in Parliament, describing them as persons engaged in churning out baseless rumours to cause fear and panic among the citizenry. Ghana coach Kwesi Appiah will hold a secret meeting with African football legend Abedi Pele who is the father of Andre and Jordan Ayew before meeting the players in December. Minority Chief, Mubarak Muntaka, has pooh-poohed government’s 2018 budget and policy statement presented in Parliament today [Wednesday], November 15. The Lycée Français Jacques Prévert of Accra (LFA) is the only accredited institution of French education in Ghana. The fortunes of Ghanaian sport in the year 2018 will hinge on the creation of the National Sports Fund to finance sporting activities in the country. 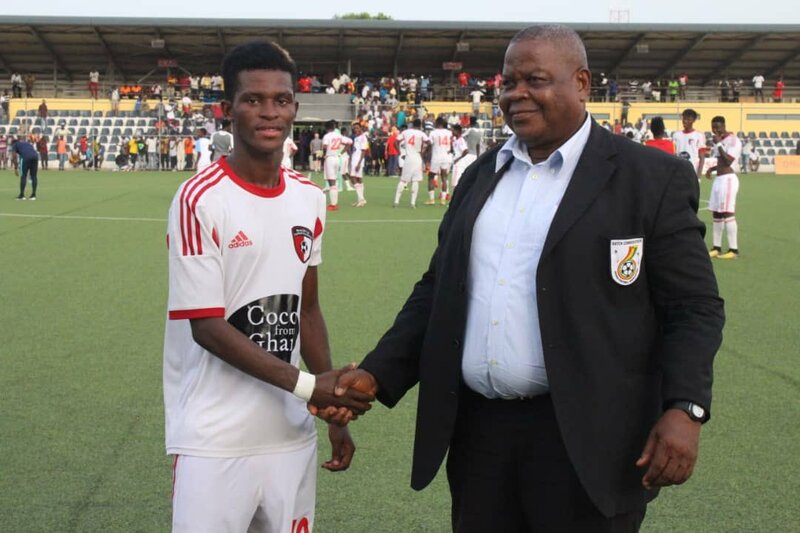 Goalkeeper, Felix Annan, has stated his desire to stay at Asante Kotoko and will only leave the club ‘’in the right way without problems’’ The 23-year old has been linked with a move away from the Baba Yara stadium after an impressive season. Finance Minister, Ken Ofori-Atta during the budget reading today said government intends to solicit funds from members of the public who wish to contribute to the growth of the Free Senior High School (SHS) policy.